Cable Service: Triple or tricky play? When the economic situation is stormy and economic survival becomes a struggle, it demands cutting down on inessential expenditure. In such a case, money consuming service in the house or in one's life may be the first to be thrown out. Of course, there will be no room for duplicity like using the cell-phone and at the same time using the house-phone. To so many people such duplicity of bills makes no economic sense. And in this case, the house-phone has fallen a victim with only a few people frowning against the cell-phone in favor of the house-phone. The house-phone, where it still exists in most cases, has become mere ornament in the house, with the advent of the cell-phone. Many people have cancelled the house-phone outrightly in favor of the cell-phone and the pocket with few exceptions. 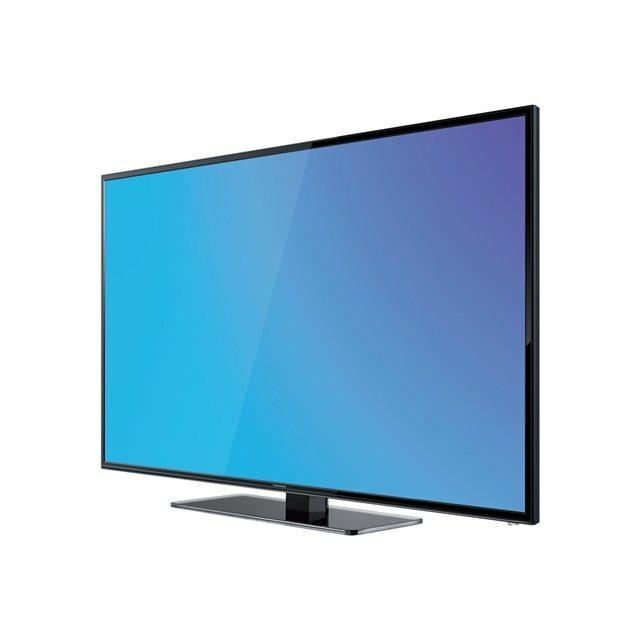 A technician from a cable provider said that the house-phone is becoming a thing of the past and lacks the knowledge why providers still compel people to take triple play, when television and internet are all that people need, but consumers are being forced to take triple play. Just few days ago, Bill Gates, Microsoft, reported in a news flash that he said health issues should be encouraged more in the community than internet connectivity. But Mark Zuckerberg, Facebook, favors internet connectivity. The news about Gates and Zuckerberg's preference came on the path of a debate of the rich and poor in a recent news by Kenya's government provision for some of the poor, where 18 million people are starving without help from government. Unemployment in the United States has fallen to 6.6 percent with an addition of 113,000 jobs in the month of January 2014. Two different reports last week, one by the BBC and the other by the CBS, point to how a society should be providing for the needs of its population…. President Barack Obama's resort to executive orders in addressing problems militating against the family welfare in the State of the Union address buttresses the discussion at Davos' World Economic Forum last week and the debate on poverty. Few number of people were around the gigantic edifice of Barclays Center in Brooklyn, on a Saturday night, and the eve of the day the center turned one that it opened its doors to the public. The expectation of a show on such a weekend could not have been unnecessary. But on arrival in front of the building, it was like holiday when people stayed away in their homes with little glitters of light to show there was business in the building. Business in New York, world's financial center, may have been regaining its momentum, as help needed notices that have disappeared for sometime begin to resurface. In various business districts from Manhattan to the Bronx, Queens, Long Island and Brooklyn, these notices are becoming conspicuous for passer-byes, bringing a soothing relief that employment buzz may be resurfacing. opened a branch in Flatbush, Brooklyn. 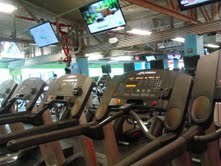 The new fitness center is located on Flatbush Avenue and Linden Boulevard. The new center brings to three - fitness centers within five blocks radius - with Planet Fitness on Flatbush and Church and Bally Total Fitness on Tilden and Flatbush, making competition the core of booming fitness business here. America's White House and the Congress have three days to decide whether to embark on a deep spending cuts called SEQUESTRATION. Or find some other ways to cut spending totaling $85 billion. President Barack Obama is against excessive cuts and he wants the Congress to avoid it. Management crisis that the Nigeria's Newswatch Magazine is mired, its former directors suddenly in Siberia-not against their will, is a development that will remind people about Jacobs and Esau's story in the Christian scripture and the selling of a birthright. I almost saw it coming before I left the country, having been part of the crisis that began in my family over protection of Dele Giwa’s interest in the company. nominated to be in the estate management on the advise of Gani Fawehinmi chambers, because myself and Tunde could not be allowed to be on the board together, to protect Funmi’s interest for equity. The crisis in the family, the cause of cold relationship that affected the management of Dele’s estate and protection of his shares in the Newswatch, stemmed from a letter I wrote him eight months before his assassination for a need by him to ensure protection of himself based on developments within his home upon which he queried Funmi, because he said if he wasn’t home and his brother who didn’t live in the house knew about issues behind him in his home, his wife must be aware of them. Dele got useful information from Funmi on one of the two issues raised in the letter. The other issue on which she didn’t give information led Dele to her mother-in-law seeking clarifications. I have no regrets warning my brother of the danger to his life eight months before the assassination. It was that serious that before the assassination those of us who cared about Dele and the family were on our wit’s end concerning his safety and likely source of the danger to his life. Thus after the assassination, Ray Ekpu who knew about the issue in the family, because Dele called him into his office when he discussed the letter with me, showed signs of support for Funmi on a division that was quickly manifest before Dele’s burial. I called Chief Gani Fawehinmi’s attention to the development in our first family meeting in his chamber toward managing the estate. He intervened, but couldn't resolve the differences. And when Funmi blocked my nomination to the company’s board, and Fawehinmi questioned her choice of Tunde Thomas that I had nominated to be on the estate management, she went with Thomas to the chamber in protest for what they called the chamber’s support for Dele’s siblings. Consequently the chamber pulled out of the estate management to avoid accusation of supporting one side of the family against another. And that marked the beginning of an end to judicious protection of Dele’s interest in the Newswatch. Thomas to continue as a member of the estate management committee. I told them to allow him to continue as a member, but I disapproved his choice by Funmi for him to represent our family on the Newswatch board. I said if Funmi insisted she didn't want me on the board, Tunde-my elder brother could go there if Thomas as a member of the estate management committee could go. And if Funmi insists against Tunde going on the board, they have Billy-Dele's first son, and Abiba, my youngest sister to consider for the family's representation. During the deadlock, Yemi Ogunbiyi went to the United States with $10,000.00, opened $5000.00 account each for Dele’s 2 children, and implored their mother to withdraw the power of attorney she had given me to protect her interest and the children’s interest. She did and that denied me whatever power I had to partake in the protection of Dele’s interest, leaving Funmi and Tunde to manage the estate, first at Mike Ozekhome’s chamber, and later at Dele Awokoya’s chamber. But before the estate management moved to Awokoya’s chamber after they got thrown out of Mike Ozekhome's chamber over a disagreement between the chamber and Funmi concerning her alleged dictation to the chamber, the Newswatch directors at the time had invited Funmi and Billy to a meeting and asked them to pay money equivalent of Dele’s 15% share for them to maintain Dele’s interest in the company. This I learnt the directors said was to cover Dele’s professional contribution that had been his 15% share when he was alive. A source told me the meeting ended in name calling and things fell apart between the directors and Funmi, who Ekpu had supported while he fended off Dele’s siblings. Thus when I heard news of Jimoh Ibrahim’s purchase of the Newswatch, the resignations of the former directors from the company after they had been paid by the buyer, saw their photos with the buyer, I wondered about the transaction and sighed. It wasn’t that I didn’t know about the company’s problems. Despite our disagreements, I continued visiting the directors in their offices and homes, a way to keep reminding them they owed my family certain commitments. Tunde had told me efforts by him and Funmi to seek protection for Dele’s interest in the company didn’t work. And I had asked him on one or two occasions why hadn't they gone to court? world, even in countries where there is bankprutcy act to fall back upon. Part of the issues I raised in my letter to Dele eight months before his assassination that if he should become a victim to untimely death had happened. His death marked an end of a period for our struggle as a family, with his mother, children and siblings as losers, his sweat for Newswatch uncompensated. the glory. Dele didn't sell his glory to the highest bidder. Michaela Walsh, Women's World Banking founding president, Wednesday in New York received encomiums at the launching of her book: Founding a Movement, Women's World Banking, 1975-1990. The occasion was to honour her and other founders of the first global women financial network, for resolving to work together toward bringing women everywhere into the formal financial markets, when they met at the first UN Conference for Women held in Mexico in 1975. The initiative created the first direct access to the banking system for women without a male signature, a participant said. The Netherlands' ambassador to the UN mission describes Mrs. Walsh as inspiration to both men and women. about 1997 or 2005 but 40 years ago, a time when banking and financing was entirely a domain of men. You can imagine the extraordinary effort it took to create WWB," Ambassador Jaap Ramaker, Netherlands Permanent Representative to the UN said in a speech preceding the author's remark. "The book provides a compelling reading about the unique history of the movement, key roles, vision, shared values, networking, trust, hardwork, perseverance, and collaboration." "She is an old friend," Nancy Lameson of Pennsylvania said of the author, whom she has been relating for 53 years from age 22. "She is enthusiastic. She never leaves any stone unturned. She is always working, and fun to be with." ''Yes we can'', way before we all said, "Yes we can." And it was how she set the ball rolling for the formation of WWB. Eric Henderson of Manhattan said he has been with Mrs. Walsh twice in a meeting, and his impression of her is that she doesn't regard anything as impossible. Her words of advise is that anyone can do what she has done. She says ,"Have a sense of yourself; take risks, always be a learner, and love people. She says people are more important to her than projects. And avoid being bossy. She extends credit to others for the success of WWB from the beginning. She told them WWB was global and enjoined them to let it be global; she said a lawyer was needed to ensure they didn't get into trouble. A song was rendered by one of her admirers signifying Mrs. Walsh's personality and urged others to embrace it,"This is the life of mine, I am to let it shine, let it shine, let it shine." But it cannot shine without money. Money is really love. Love and money goes together. It was why she ensured money was placed in the women's pocket for empowerment by WWB. Mary Okelo, first African manager of Barclays Bank in Kenya praised Mrs. Walsh for initiative and leadership qualities that have transformed women's lives all over the world through economic empowerment to economic development. Steve's passing one year ago today was a sad and difficult for all of us. I hope that today everyone will reflect on his extraordinary life and the many ways he made the world a better place. One of the greatest gifts Steve gave to the world is Apple. No company has ever inspired such creativity or set such high standard for itself. Our values originated from Steve and his spirit will forever be the foundation of Apple. We share the great privilege and responsibility of carrying his legacy forward into the future. I am incredibly proud of the work we are doing, delivering products that our customers love and dreaming up new ones that will delight down the road. It is a wonderful tribute to Steve's memory and everything he stood for. The famed Atlantic Train Station in Brooklyn and the new Barclays Center directly opposite the train station have merged names. The station is now known and called Atlantic-Barclays Center. Access to the train station in front of Barclays Center opened September 17, 2012, while the Barclays Center, a gigantic entertainment center is expected to open later in the month. "This must have been opened today. I passed here last night and it wasn't open. It must have been opened this morning. It is good. I like it," a young man passing through the newly opened turnstile, said. A ticketing booth at the station has an inscription 'Atlantic-Barclay Center' depicting the merging of the station' s name with that of the Barclays Center. It completed a process in name merging that began over two months ago when postal announcements by MTA first became visible around the station. 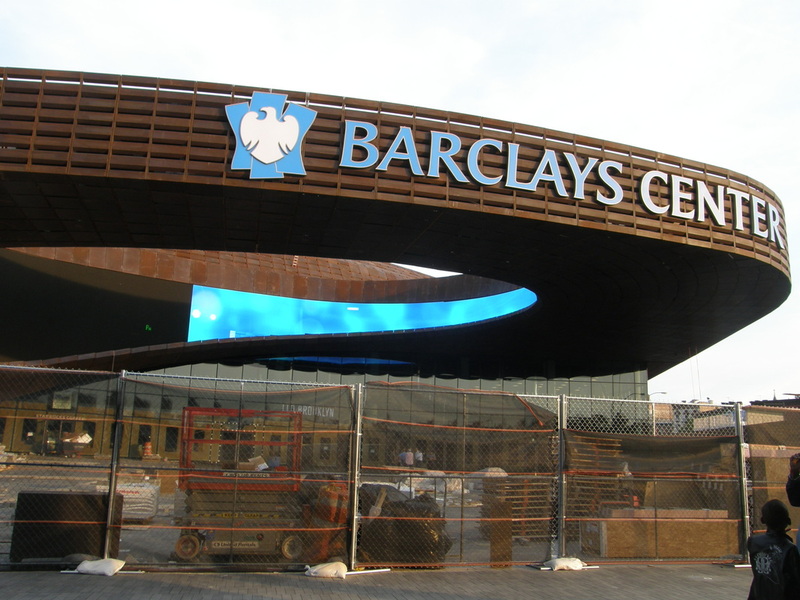 Barclays Center is billed to seat 18,000 for basketball and 19,000 for concerts when fully opened for business. The tough economic situation in Europe is making life difficult in Spain and Greece, and the situation is boiling over. People in these countries can no longer hide their disenchantment against the authorities. Protests upon protests is almost rendering the countries ungovernable, attested by Catalonians request for self government from Spain. There was a time Spain home owners went on a strike, asking the government to help them for a bailout for inability to pay their mortgage. Already the unemployment rate in Spain is around 25 percent and the poverty rate is rising. Just recently, people feared the police was about to take over power in Madrid, when they barricaded the parliament. The police later explained they were working to protect the building from protesters. 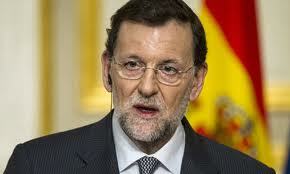 Spain is one of four countries in Europe that have been battered by the worsening economic situation in the continent. The three others are Greece, Italy and Portugal. All of these countries have been customers to the International Monetary Fund, IMF, helping to smoothen their financial situation with lending that carries baggage. Greece had wanted to opt out of the European union because of its economic situation, just like Catalonians wanted to opt out of Spain. But the outcome of the election in that country amid a debate whether to remain in the union or not, witnessed the Greeks voting for the status quo, in support of the incumbent who chose that the country remained with the Euro and weathers the economic storm. Barcelona, Madrid and Athens have become havens of protest, making the political situation in Spain and Greece unpredictable.